Prime Minister Narendra Modi on Friday latched on to an Enforcement Directorate accusation in the AgustaWestland VVIP choppers deal case, using it to attack the Congress and the Gandhi family at a poll rally in Dehradun.“The middlemen in the helicopter scam have said they paid bribes to one ‘AP’ and the other ‘FAM’. 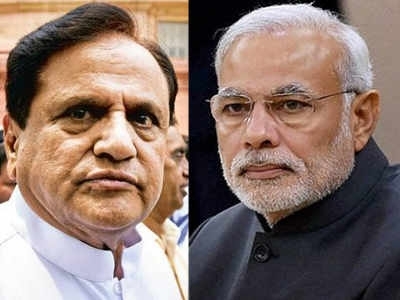 The chargesheet has said that ‘AP’ means Ahmed Patel and ‘FAM’ means Family (Gandhis),” the PM said.The ED in its chargesheet filed on Thursday had said Christian Michel, the alleged middleman arrested in the case, had identified the abbreviations, which the BJP has long claimed means Ahmed Patel, who is a close aide of Sonia Gandhi, and the Gandhi family.Christian Michel, however, told a Delhi court on Friday that he has not named anybody in connection with the deal during investigation by the Enforcement Directorate. Michel, in an affidavit, alleged that the central government was using agencies for political agenda. The ED, in its fourth supplementary chargesheet, has also alleged that kickbacks were paid to important political persons of the UPA government, defence officials, media persons and bureaucrats to swing the Rs 3,600 crore deal in favour of AgustaWestland.